…and yeah, we play other games as well. Shocked, are you? You shouldn’t be. We love Destiny, as you know; but we play other games as well. 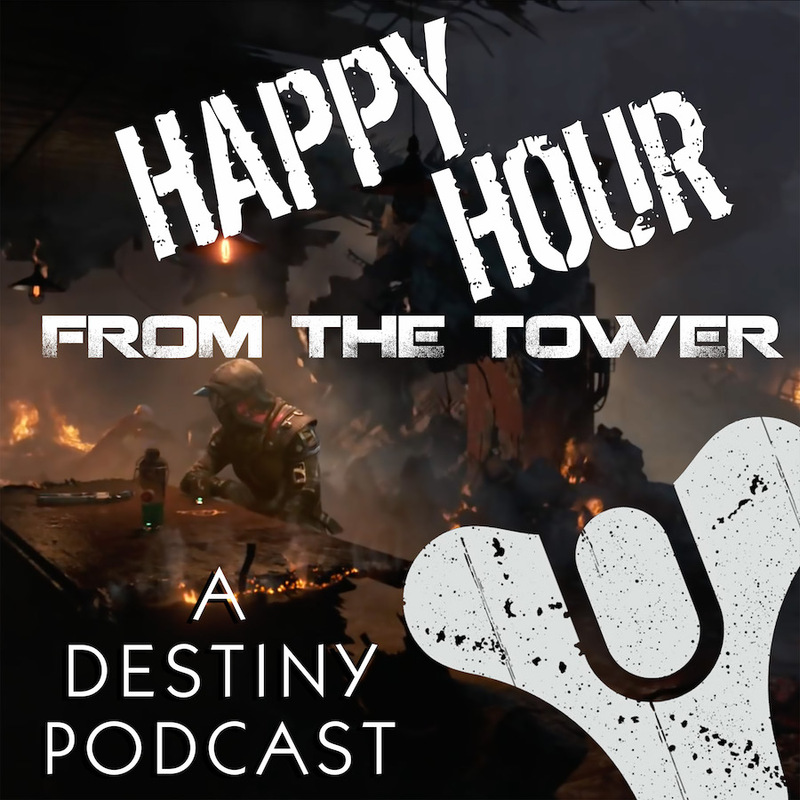 Today on Happy Hour from the Tower, Tee, Nick and Brandon kick back and talk about other games they play outside the confines of the Cosmodrome. Doesn’t mean we think Destiny is no longer worthwhile. Variety, after all, is the spice of life. What about you? What games do you play between Ion Banners? Do you play with your Fireteam, or with completely different people? Let’s hear your thoughts or feedback at 703.791.1701 or podcast (at) happyhourfromthetower (dot) com. We’d love to hear from you! Wouldn’t it be cool if Failsafe was on the show? Wouldn’t it be cool if Sloan was on the show? These jokes is still not old to us. Changing gears here at the Tower to talk about gaming from a perspective outside of Destiny. We saw what you did there, Brandon. So, you might have noticed that some people aren’t playing Destiny 2. So what are they playing? Did you know Nick has a Nintendo Switch? …nor did he buy it for the plumber. Well, it would be an obsession…if he played it. Shout-out to Video Game Heaven in Virginia Beach. In between trying to find time for Xenoblade 2, Nick’s passion for movie reviews is back. Brandon has returned to The Division. Here’s why. Evolve takes a backseat to Overwatch and…The Sims? Really? Looking back on Destiny and the slippery slope we’re trying to avoid. So, Tee, what are you playing on your stream? Mondays belong to Munch and a little sensation called Fortnite. Tee is not into the “Battle Royale” games, but he is loving Fortnite. EDITOR’S NOTE: We recorded this show before Brandon won his first victory. Since then, he’s into it. Tee’s got a morning crew for Fortnite. His first game for this event? The Tomb Raider reboot. What are we looking ahead to play? Tee’s looking ahead to the steampunk adventure, The Order 1886. Brandon — and a lot of other people — are waiting for Cyberpunk 2077. And there’s the speculation around Anthem. What are you playing outside of Destiny? Share your favorite distraction with us! Or how about leaving us a comment right here on the blog? Feedback can happen anywhere — even in a Twitch stream! Grundlesnork is hooked — HOOKED, I say — on this podcast. Love the show? Send us a note, or drop us a review at iTunes.